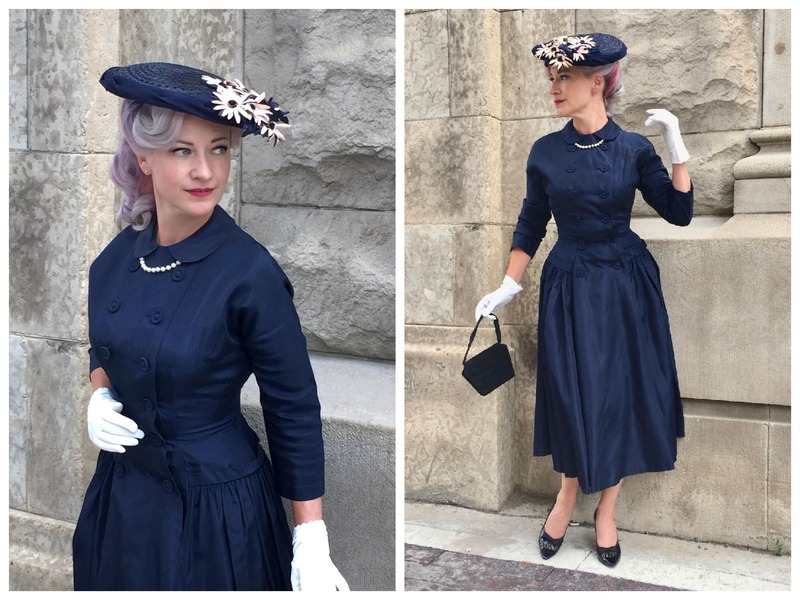 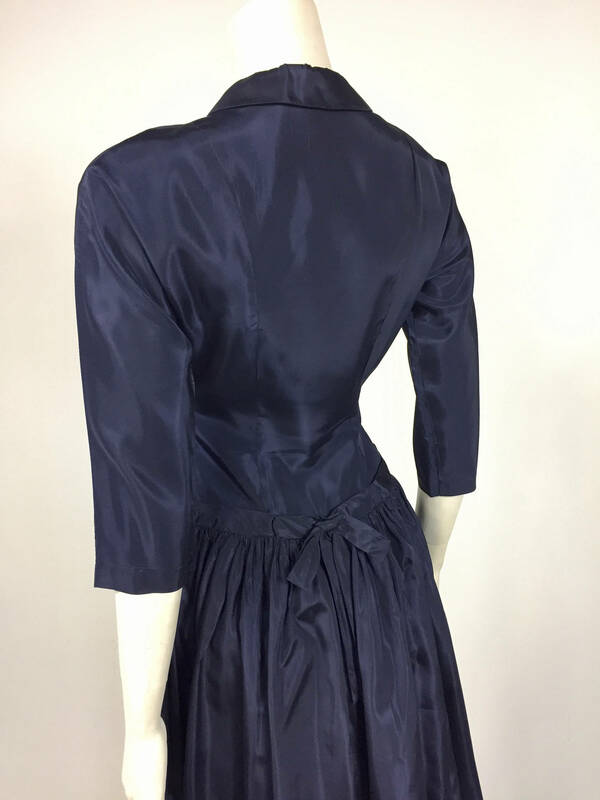 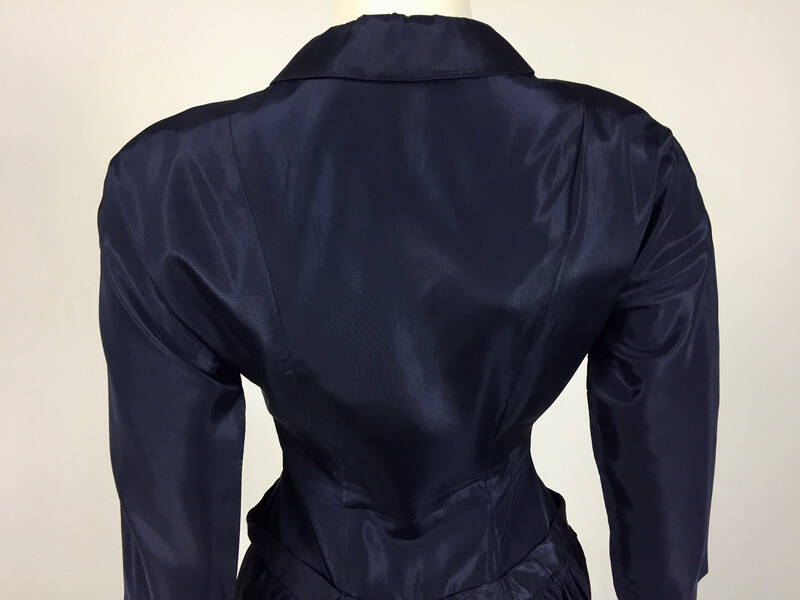 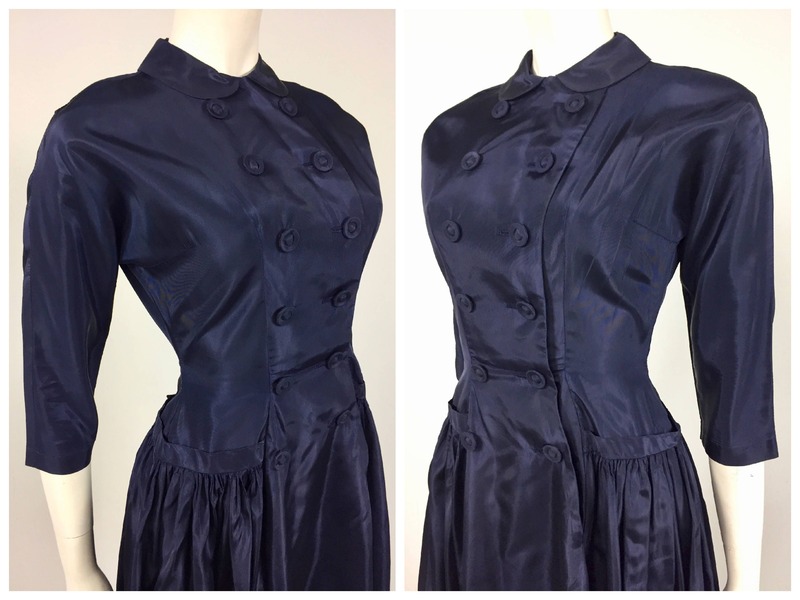 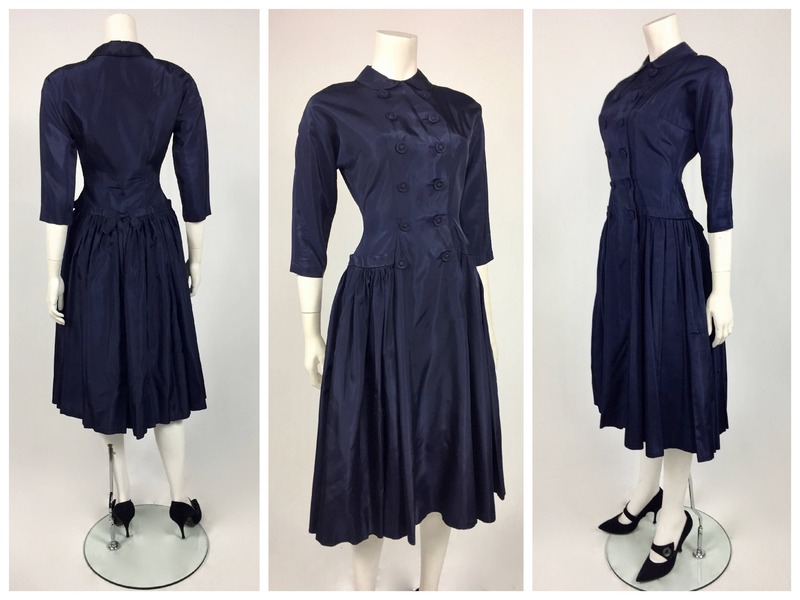 Incredible Late 1940's Navy Taffeta dress is in excellent vintage condition. 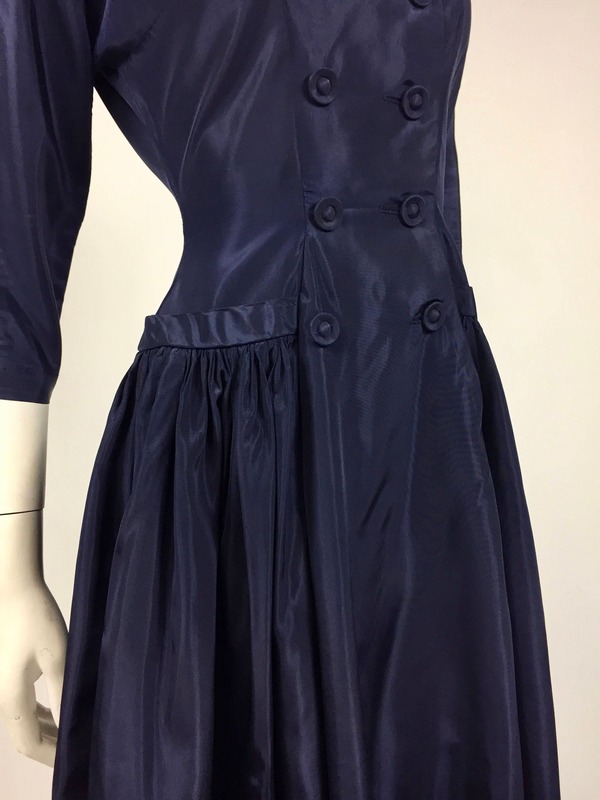 This stunning dress is a perfect example of the New Look design that changed the history of fashion forever. 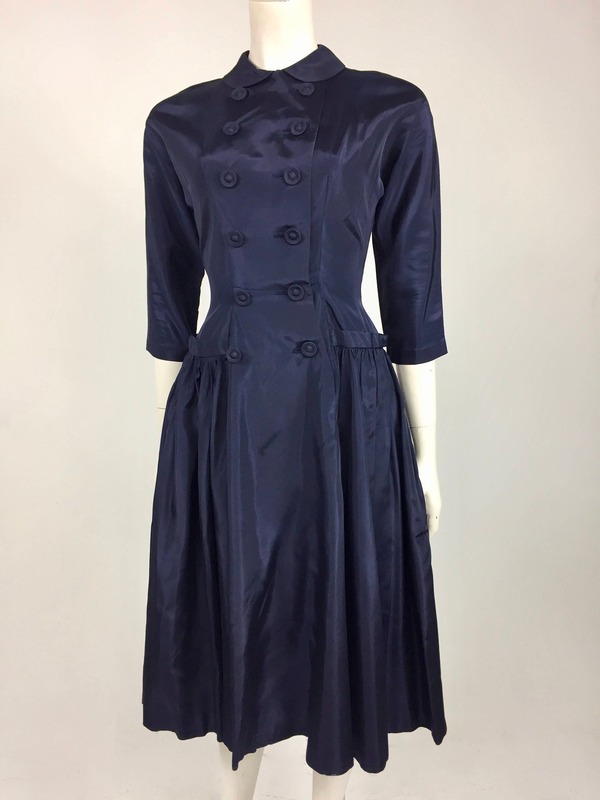 Styled after the Dior designs of the period... the label is missing so who knows, this beauty may just be a Dior! 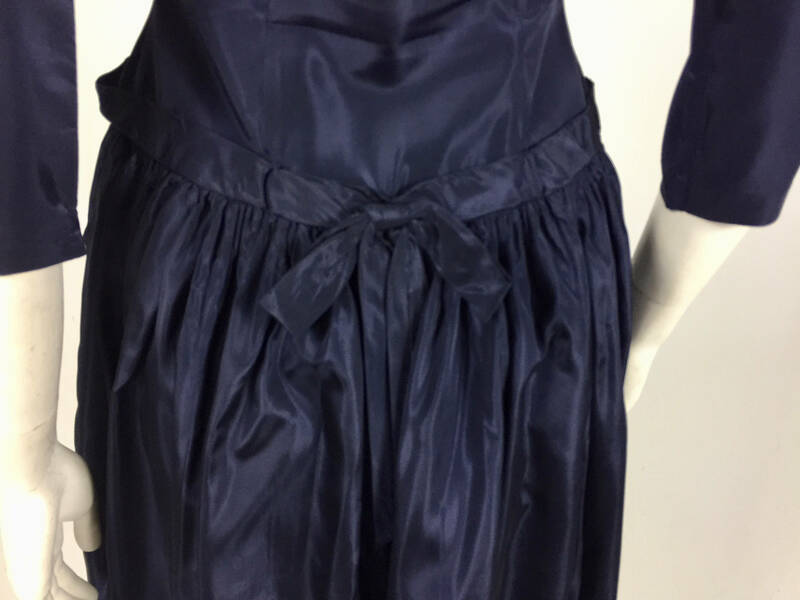 BEST FITS CONTEMPORARY LADIES AMERICAN SIZE 0 to 2 DEPENDING UPON DESIRED EASE. 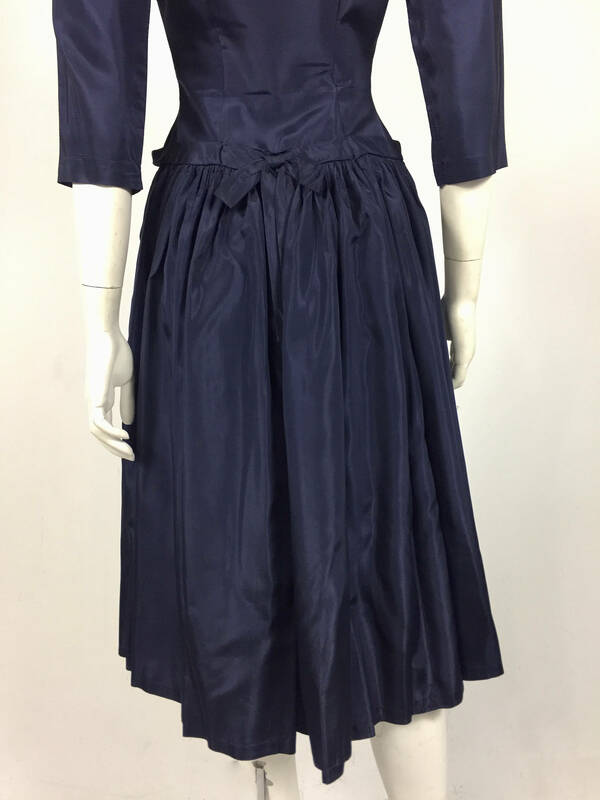 SKIRT LENGTH: (natural waist to hem): 30"
Please visit this beautiful dress in person at 301-290 McDermot Ave, Winnipeg, Manitoba. 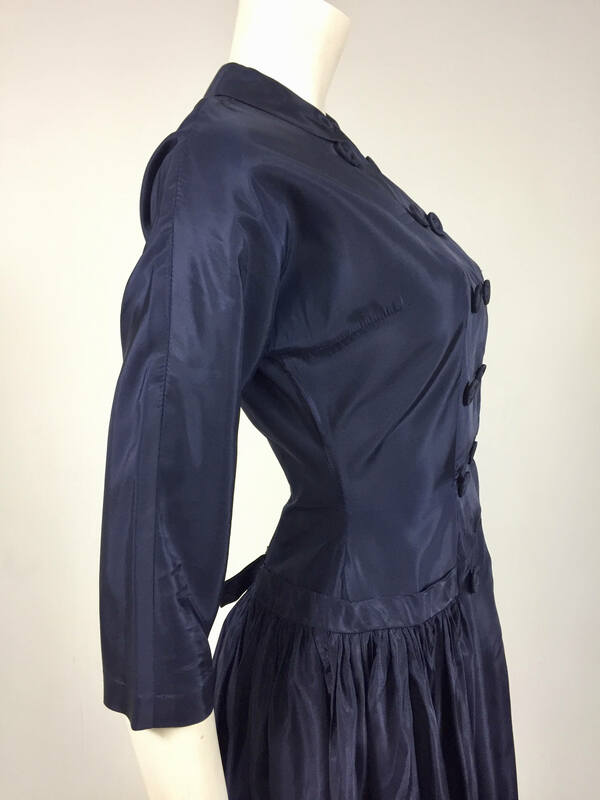 We are open Fridays 12-5 and Saturdays 1-5 as well as by appointment any time.